Baildon Methodist Church is part of the world-wide Methodist family. Today, there are about 75 million people worldwide who call themselves ‘Methodist’. Yet this Christian denomination only began in the mid-eighteenth century in Britain, due in large part to the strong leadership, extensive travelling and organisational abilities of John Wesley, who is celebrated today as the most prominent ‘Founder of Methodism’. Methodism began as a movement in the 18th century, within the Church of England, and was led by John Wesley (1703–1791) and his younger brother Charles (1707–1788), as a movement within the Church of England. 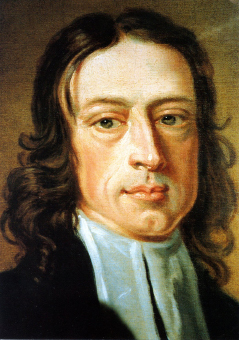 John Wesley took preaching out of formal church setting to reach people in their homes, and outdoor meeting places. Wesley travelled widely, generally on horseback, preaching two or three times each day. It is claimed that Wesleys “rode 250,000 miles, gave away 30,000 pounds, … and preached more than 40,000 sermons.” (Stephen Tomkins). John Wesley was not only an effectual preacher, he was a great organiser, very methodical, which is how we got our name. And we’re still a bit like that. Methodists also love to sing! We still sing some hymns written by John and Charles Wesley, but also include modern worship songs in our services. In Britain we are organised from HQ in London – called The Connexion – into Districts (ours is West Yorkshire), which in turn are collections of Circuits, each comprising several individual churches (we are part of Bradford North which has 18 churches). The boundaries of Districts and Circuits get changed from time to time: it’s not long since three small Circuits came together to form Bradford North as part of a nationwide restructuring. Ministers are appointed to Circuits and take on pastoral oversight of one or more Churches (sometimes Ministers are shared between Circuits). A ministerial team has pastoral oversight of Baildon – in that sense they are ‘our Minister’ – but they are still appointed to the Bradford North Circuit of which one, Rev Nick Blundell, is also the Superintendent. This Circuit has a mixture of full-time and shared Methodist Ministers, plus help from a number from other denominations where there are ecumenical arrangements. When Ministers retire they are called Supernumerary Ministers and assist in various ways in the Circuits where they come to live. We currently have four such Ministers in Bradford North Circuit. One of the features of the Methodist Church has been its reliance from very early days on the laity in preaching, both men and women: we call them ‘Local Preachers’. They are not ordained as full-time Ministers, nor are they employed by the Church, but they are called by God to lead services of worship and to preach in the churches in the Circuit where they live (or others, by invitation) according to the periodic ‘Plan’ scheduled by the superintendent Minister. For this they are carefully trained. They are wholly voluntary. Overall in Britain, there are about three times as many Local Preachers as there are Methodist Ministers. Ministers move Circuits periodically: initially it was every year; and still the invitation to a Circuit is only for a specified period of years, usually five, though it is often renewed so that Ministers now stay much longer in one place (not necessarily pastoring the same churches). But because of this moving, Methodist Ministry is called ‘Itinerant’, whereas ‘Local’ Preachers remain where they live and work. In other denominations they might be called Lay Preachers. In the last few years, Methodism has also encouraged more people to take part in leading worship, and they are called ‘Worship Leaders’. They are appointed to individual churches, and assist the preachers in the conduct of worship in various ways: sometimes taking part themselves, or arranging for others to do so, but not usually preaching. They also receive a short training. Many members of our congregation participate in leading worship from time to time and in various ways.